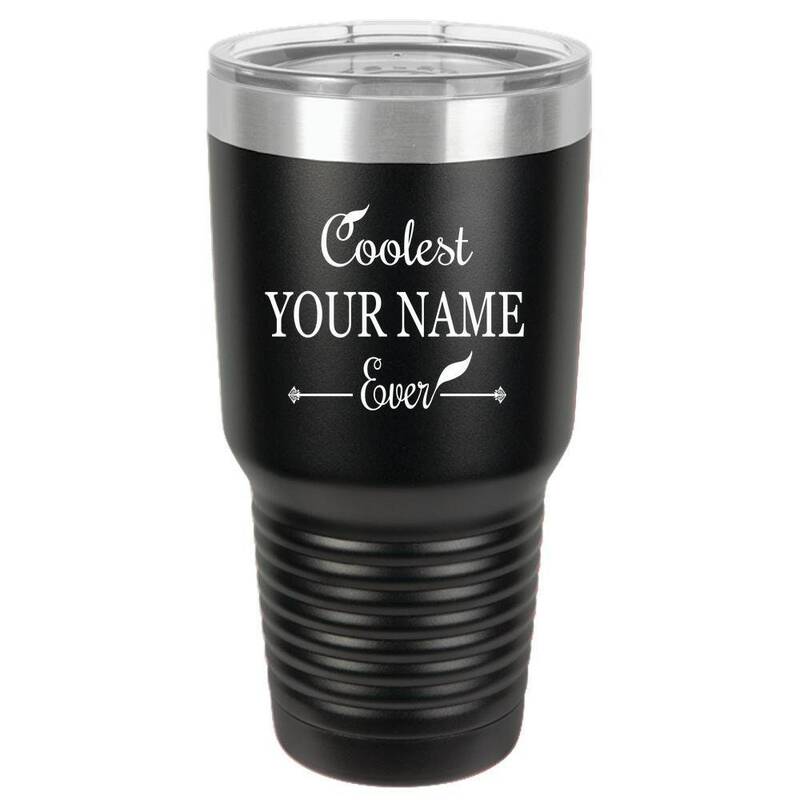 Everyone needs a reliable travel mug which is why this custom “Coolest YOUR NAME or OCCUPATION Ever” tumbler is such a great idea! 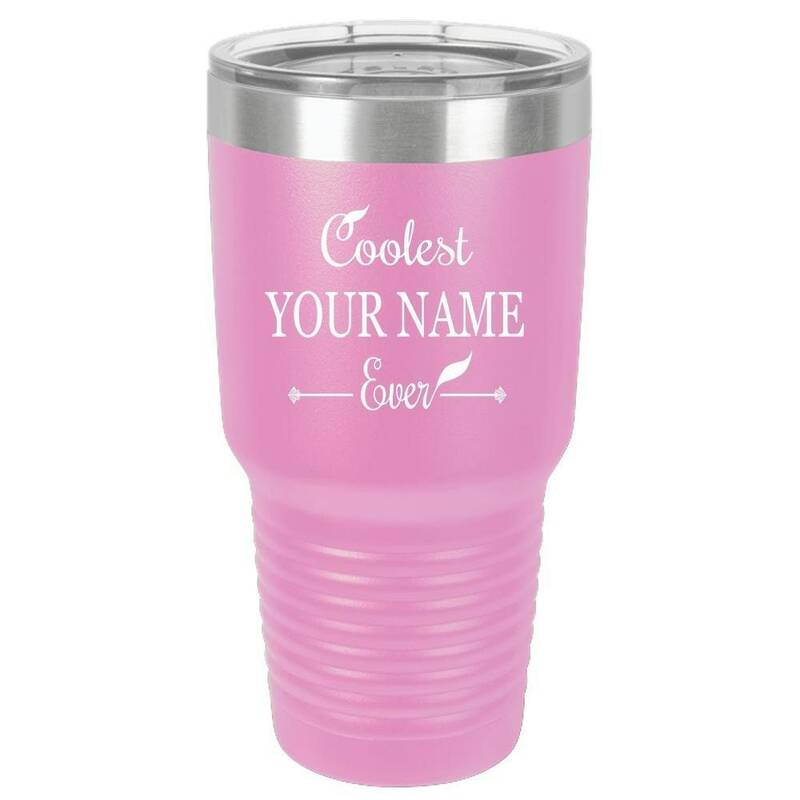 Personalize with your NAME (i.e. 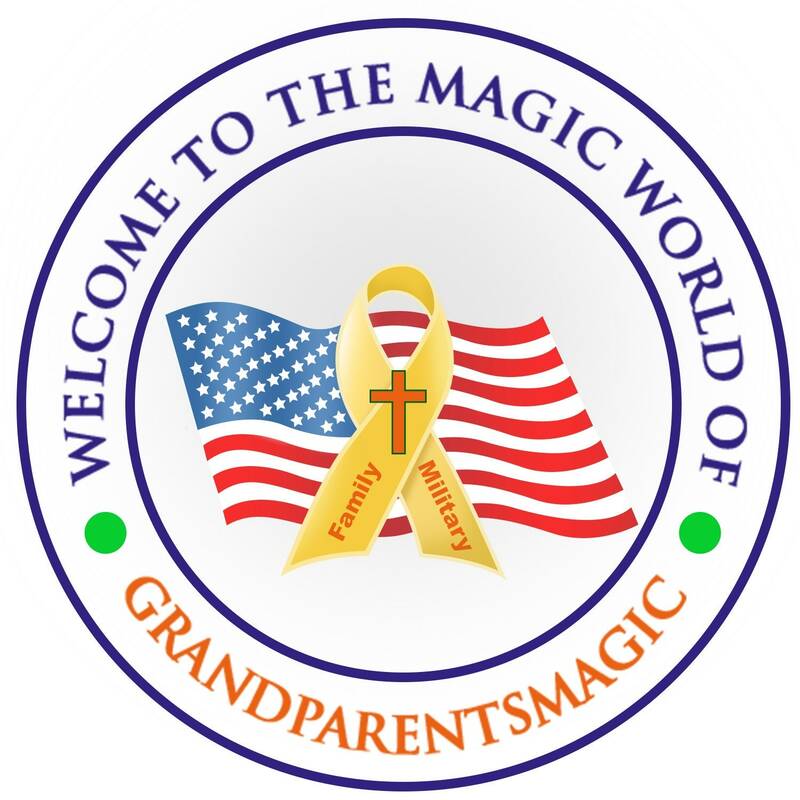 MOM, DAD, AUNT RUTH, UNCLE THOMAS…) or OCCUPATION (i.e. DENTIST, POLICE OFFICER, DOCTOR or PRESIDENT or ...). Order this stainless steel mug for yourself or get one to give as a gift for a friend or family member. These travel coffee mugs are BPA free and hold 30 oz of liquid plus they are insulated to keep drinks at the correct temperature for hours! Designed with a tapered bottom to fit neatly into most cup holders so you can take it with you on vacation, on the river, to sporting events or just use it when you're hanging out with the family at home. Double wall insulated mug keeps a cold drink cold for up to 24 hours while a hot drink will stay hot for up to 6 hours without making "sweat" on the outside! 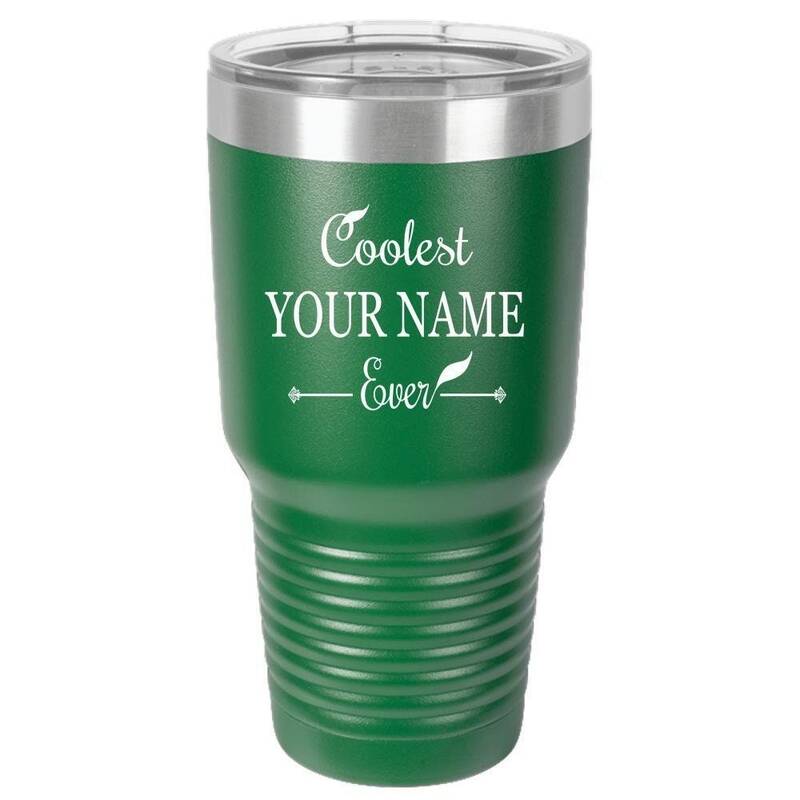 Additionally, our custom tumblers come with a durable plastic lid to minimize spills. Travel tumblers make cool gift ideas for all kinds of occasions from a birthday to anniversary, Christmas, Easter or Mother's Day/Father's Day, National Holidays or other special occasion! ❗❗ During checkout please enter the personalization TEXT in the "Notes to buyer" section. Please do not include any other instructions other than your actual personalized “TEXT”. Following these instructions will ensure your order can be processed quickly.